Watch to learn how my 6 core practices, when used in a very specific order, can shift you from suffering into peace, expanded states of consciousness, even joy. Transformation IS possible! More than therapy or short-term internet searches for inspiration to gain relief - this is an entirely NEW approach. The Core Transformation Program teaches you 6 core practices to help you have (forever!) the ongoing skills to work with and shift from suffering to peace ... AND expand your consciousness. Like me, you're probably old enough to have lived through a few really difficult times when it was hard to stay positive. In my case, I went through a huge crisis in which I touched deepest despair and internal struggle. I was longing to feel connected to myself and to others, to feel at peace, and to be able to touch grace. Not all of us have access to therapy, nor can many of us afford it. In any case, lots of my clients have been frustrated by how nothing has seemed to help them - until they started working with themselves in our sessions. Until that time, they were (as I have done) just putting out fires one by one, as they arose. There was no regular practice to lay the foundation for ongoing peace. THAT is the kind of peace people experience when they return from Near Death Experiences, which for many, shifts their perspective forever more. This is EXACTLY why I created my Core Transformation Program. After a very difficult period in my life, I was suffering from anxiety, panic attacks, and unresolved emotional pain. In order to help myself and others, I re-trained as a practitioner (after doing a Ph.D. in economics – yeah, rather different). Very quickly, as I began to use what I’d learned in my own life, and with my clients, I realized that by doing certain practices, in a certain way, NOT ONLY did I help myself and others recover from stress and trauma … I was also able to move myself, and my clients, into expanded states of consciousness. Peace. Bliss. Awakening (however you conceive of it). My approach draws on several modalities. I'm trained in hypnotherapy, NLP, energy healing, intuitive readings, biodynamic cranial touch, de-armouring, and life coaching. I am also a top-rated Udemy instructor and a workshop facilitator. In the past decade, I have taken hundreds of clients through my mindfulness-based healing sessions, and I have led more than 30 workshops and 3 retreats all around Australia and overseas. HOWEVER, my biggest accomplishment (other than my children) is taking the complexity of neuroscience, psychology, contemplative traditions, and somatic approaches to stress and trauma - and creating a simple and effective program consisting of 6 core practices to align you with your most perfect, innocent essential self! Your SOUL. I created this program to make your part (commitment) as easy as possible, because I created a structure that does all the rest for you. It’s totally unlike anything else out there, because it's SIMPLE, and STEP BY STEP (so beginners, don't fear!). There is no homework, no boxes to tick, nothing to DO. Just listen, feel, and BE. I hope you do it, and love it, and that you keep these practices in your life forever (I know I will). Hope to see you inside! BOOK A FREE DISCOVERY CALL NOW. The Core Transformation Program is designed to result quickly in the experience of contentment, when you do the practices as recommended. The more you do the practices, the more established this new normal state becomes. This program establishes an easy-to-follow structure FOR you. All you have to do is show up and be receptive, and do the practices along with me as I facilitate them! The practices in this program, created to achieve presence, emotional release, and ongoing peace - have been designed to be simple. Anyone can do them, and you can do them anytime. The practices in this program have a lot of science behind them. From the HeartMath Institute trials to other peer-reviewed studies, research shows techniques like the ones used in this program relieve stress, and improve mental, psychological, and emotional health. AND with regular practice, you can even experience expanded states of consciousness - you may consider this to be a deepening of your spiritual practice or just a mind-blowing experience! Not to mention, this is the foundation of TRUE manifestation - you can only manifest your dreams when you are clear and calm. WANT A FREE, NO OBLIGATION DISCOVERY CALL WITH ME? Scroll back up. A: This is perfect for you if, 1. you are suffering stress, despair, or overwhelm due to life's difficulties and circumstances (see my question on mental illness further down); 2. you truly desire to be at peace, and 3. you know in your heart, in your core, that there is a part of your consciousness that is eternal (a soul, or your essential self - i.e. the part of you that was present at birth before difficult stuff happened), but you just don't know how to tap into that in order to experience peace. Q: What is so unique about this program compared to other mindfulness or meditation programs? A: Simplicity - 6 core practices. There are not hundreds of hours to wade through with lots of complicated practices. These are the ones that matter! Devised from my own personal processes and from hundreds of clients, this program is based on only 6 important practices which are stress-reducing, healing, and consciousness-expanding. Q: How is doing this program different or more beneficial from seeing a practitioner/therapist in person? A: I always recommend seeing someone in person because of the healing involved in compassion and non-judgement - and in fact this is an add-on option with me when you purchase. However, many cannot afford the cost of ongoing therapy. Therefore, I have created this program in an online version as well, to give you the absolute maximum amount of healing that you could do without a therapist - and for many it WILL be sufficient to experience peace - starting at just $67. The truth is - when you follow along in the videos and practice the processes, you are doing incredibly effective and efficient transformative work even on its own. Q: What about those mindfulness apps with 500+ hours of meditation? Why would I choose this over that? A: First of all, the Core Transformation Program and mindfulness apps are not inconsistent - you can certainly use apps for daily stress relief. However, such app can ONLY bring temporary stress relief. Like conventional therapy, there is the likelihood that they help you become a less stressed out and more mindful 'personality' or 'ego' rather than help you align with the more eternal, essential, higher self you are. Being a human will never be perfect. But when you have the perspective of your innocent soul-self, you will be able to rest in peace and navigate through life's dramas with more ease, compassion, and humour. Q: What if I am struggling with depression, or trauma memories, or I have a history of mental illness? A: It's important to continue to see your medical practitioners and not use this program as a substitute for conventional treatment or medication. This program, of course, makes no claims to cure anything. FYI - There is a section of this program for those with trauma histories, to provide extra support for intrusive memories, panic attacks, and so on. Again, this is complementary with any current treatment you are doing. This program is beneficial in any circumstance, and it is often the case that over time, knowing how to use these core practices can result in the reduction of symptoms of stress/trauma (even physical disease) - or even them dropping away completely. However, you must consult with your medical health professionals before discontinuing any treatment or medication. This is especially true if you suffer from addictions and have not been through rehab, or if you have a diagnosed mental health condition. 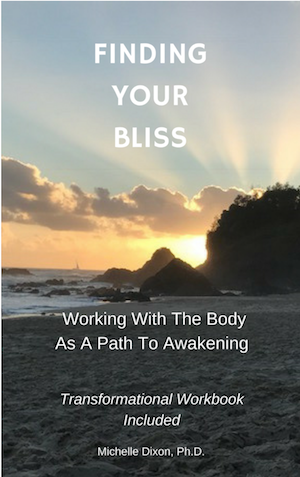 The connection between bodywork, healing emotional pain, and Awakening. Discover the 6 Core Practices and How They Can TRANSFORM Your Life.